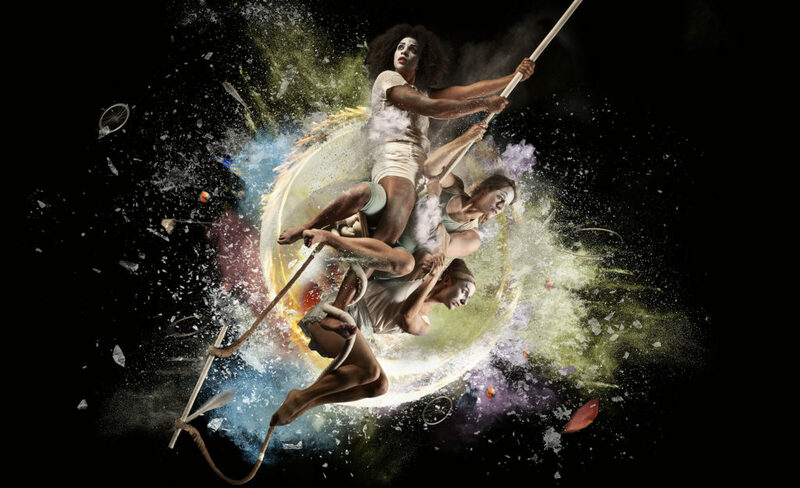 Contemporary circus fans across the UK are in for a treat this summer, as circus company Mimbre debuts their new show The Exploded Circus on a UK tour. The Exploded Circus invites the audience to step into the moment where an explosion has been frozen in time, the remnants of a big top caught mid-air – with everything from circus ring, sequins and fairground horses suspended above ground. 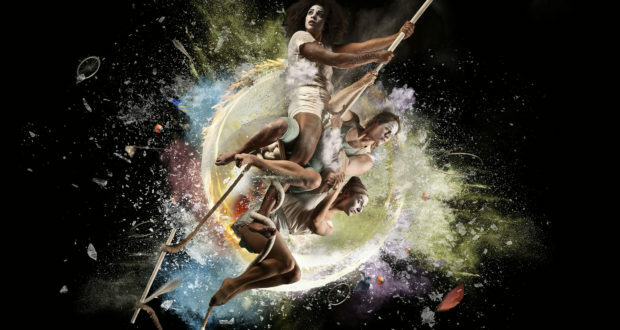 Brought to life by a cast of six female circus performers, the show uses a mix of acrobatics, aerial feats and juggling to tell its story and explore themes of change, hope and belonging. 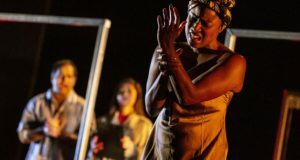 In this guest blog, Mimbre Artistic Director Lina Johansson shares the process of bringing this high-flying show to life. The visual idea and story for The Exploded Circus has been developed through the close working relationship between set designer Loren Elstein and me. Over the years, we have collaborated on productions for the Royal Shakespeare Company, National Centre for Circus Arts and the Roundhouse. 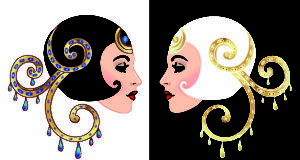 Loren has also designed the sets and costumes for some of the shows of Mimbre, a female-led contemporary circus company that I have been the joint artistic director of, alongside Silvia Fratelli, since the company’s creation in 2000. The first seed for The Exploded Circus was planted at the end of an artistic research period on our perception of time. Loren and I started wondering what freezing a moment – which otherwise passes too fast to be noticed – would look like, and how we could transform this into a working set and ultimately a show. Inspired by such artworks as Cornelia Parker’s installation Cold Dark Matter: An Exploded View (an exploding shed), David Spriggs’ Half Explosion and Ori Gersht’s Time after Time photographs, we started fantasising about exploding people’s romantic idea of the circus and what it would look like to catch that moment mid-air. Apart from the visual beauty of it, some questions naturally followed: Why did the explosion take place? What did it mean? How would the circus performers cope with this sudden change? And what could happen next? In the autumn of 2015, Loren and I explored these ideas further in a residency at 101 Outdoor Arts Creation Space alongside six female circus performers and a regular music collaborator of Mimbre’s, composer Quinta. From this research, a storyboard for The Exploded Circus was born, and after several periods of fundraising, we are finally able to take this show on the road. Making this show in 2018 seems timely. Serendipitously, it’s the 250th anniversary of circus, Circus250. It’s also very important to me to make the show now, as during the two year-long creation process, it has felt evermore like the world around us is on the cusp of big changes, and I really want to create a performance that reflects on this in a microcosm. Be it Brexit, global warming or the refugee crisis, there is a strong feeling of change and upheaval around us. I want to use the show to reflect on this, as well as imagine what could be, and how we could grow something new and different. I want audiences who are worried about the uncertainty around us to be filled with wonder and a feeling of hope. I would like them to see change as a possibility for good, not only as a threat. I firmly believe that together we can make a better world than the one we have today. I’m also really excited to be making a show of this kind, as it pulls together several different strands of how I’ve been exploring circus as a director and choreographer: mixing spectacle and visual impact with heart and personal stories. The set design provides a choreographic playground for me to blend the work in the air and on the ground and use the full palette of circus skills. Most of all, I’m very excited to develop the show with an exceptional cast of female performers, allowing space both for individual skills to flourish and a chance to feature Mimbre’s signature strong ensemble work. The risk and trust inherent in circus – the falls and the balances of the acrobats – allows me to explore a physical narrative that the audience can feel in their bodies as much as they can follow with their minds. After the journey of creating The Exploded Circus from 2015 to now, I’m excited to find out how audiences respond to the final show. The Exploded Circus is currently on tour through 8 September, including London dates as part of Theatre in the Square from 1-5 August.